Receive Whatsapp Notification on Lock Screen. In a very short span of time, Whatsapp Messenger has become the integral part of our life. Gone are the days when people used to worry about which message packs to choose from, provided by their network operator. Now what you all need is just an internet pack or a Wi-Fi network to run the Whatsapp and that is it. One more interesting point about Whatsapp is that is being used for both personal as well as professional purposes. 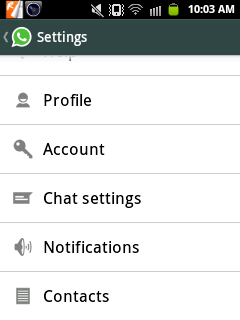 So while using Whatsapp for personal purposes i.e. for chatting with your near and dear ones, if you do not reply to them immediately, they do not bother. But when it comes to Professional front you have to be careful and should have an eye on each activity. 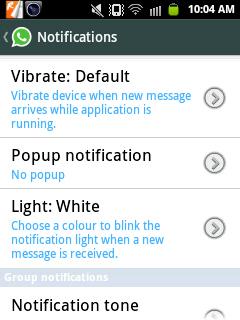 By default, you receive Whatsapp notifications when your mobile screen is on and not when it is off. 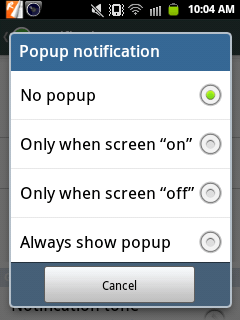 But you can also receive Whatsapp notifications when your mobile screen is off with the help of just a simple option. Select Only when Screen “On”. I hope this would help and if you have any doubts then do comment below.